Well look at this. 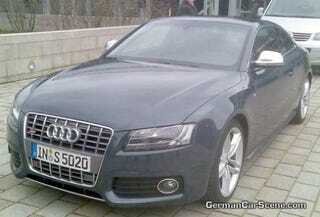 Someone with a digicam caught Audi's new S5 in the flesh, ahead of its unveiling in Geneva. Looks like it's at the Audi museum in Ingolstadt. We hear they have great M venpick sandwiches there.